I didn’t make any new year’s resolutions for 2018. So far this year I’ve been doing a little of this, a little of that, art-wise. Today I revisited my pen and ink days to sketch ‘Jonathan’, the backpack my daughter gave me. It is a really nice, fabric pack. 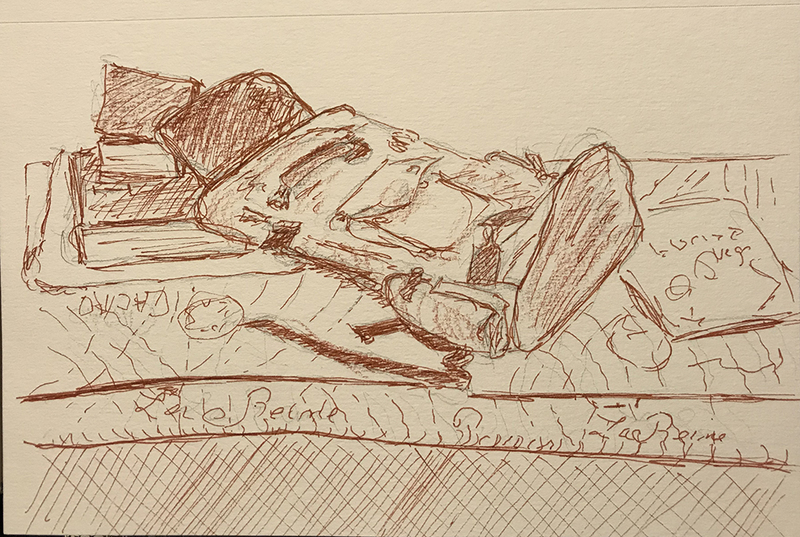 This entry was posted in Personal Stories and tagged artistic process, backpack, creative process, creativity, drawing, imagination, pen and ink, sketch, visual arts. Bookmark the permalink.